Yuri A. Popov (5.03.1936–16.11.2016), a world-class expert in fossil and living true bugs and their kin, worked in our Lab for more than half a century. He was a man of many talents and had lots of friends all over the world. The few flashbacks published in the Russian Entomological Journal (PDF) are but a small tribute to his memory. Here you find translation of Russian memories and more photos. Best memories in my old age are associated with expeditions, and the most pleasant ones were those with Yuri, especially when we went to a small field party. As their symbol I recall Popov, sitting on a hill on the background of flaming Mongolian sunset and displaying minor tunes on the block flute. Dr. Yuri Popov was a leading world expert in taxonomy and evolution of fossil true bugs. He described about 30 new families, subfamilies, and tribes and 300 new genera and species, based on Mesozoic and Cenozoic amber inclusions and rock fossils from all over the world. 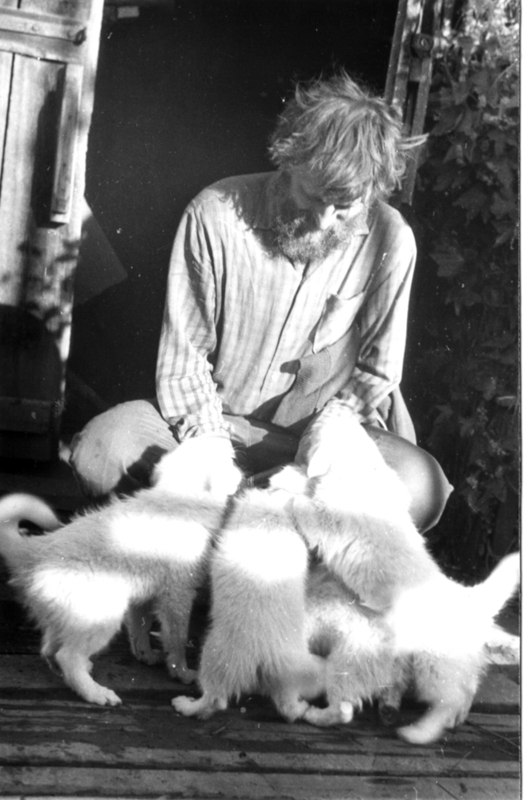 Yuri Popov is well-known as one of the founders of higher taxonomy of Heteroptera: three of seven heteropteran infraorders have been established by him (Nepomorpha, Gerromorpha, and Leptopodomorpha). He was involved in research projects with the colleagues from many countries and research institutions. For many years he was the head of the Joint Soviet-Mongolian Paleontological Expedition, and participated in many other field trips to collect fossil and living insects. He published more than 170 papers, including the book "Historical development of true bugs of the infraorder Nepomorpha (Heteroptera)" known to every specialist in the field.